There are many different ways to have an advantage in StarCraft 2. These advantages can be split up into two different categories. The first category is advantages that are created because minerals and gas were spent, they are based on income and economy. The second category is advantages that don’t require economy to create. The second category will be covered in a future article of Introductory StarCraft 2, while the first and more important one will be covered in this article. While there may be more ways advantages can be gained in a game of StarCraft 2, these are the most basic ones. Workers are a basic and easy to understand advantage. Workers allow players to mine minerals and gas which means they are the basis for your mineral and gas income. A higher income allows you to make more army units, tech and upgrades and eventually win the game. Hatcheries allow you to make use of your workers, a player with 44 workers and two hatcheries will have a much higher income than a player with 66 workers and only one base. Hatcheries are also important for a Zerg players production due to being able to produce more larvae. Larvae comes from both hatcheries and from queens. Queens allow hatcheries to produce more larvae with the inject larvae ability. Hatcheries, lairs and hives produce one larvae every 11 seconds up to a maximum of 3. The ability inject larvae allows each hatchery/lair/hive to produce an extra 3 larvae every 29 seconds. Army is another basic advantage of how big a player’s army is. I would consider this to be army supply. Who has more supply of army has the army supply advantage. Players create army through the minerals and gas that the workers collect as well as the larvae that queens and hatcheries produce. Upgrades make the army supply of a player more effective by increasing the strength of each of your units. You get upgrades through minerals and gas and having the specific structure required for the upgrades. Finally in this case I am considering technology to be in units and army. What kind of units are each player’s army made out of, because an army made of hellbats will almost always defeat an army made of zerglings even if there are twice the supply of the hellbats in zerglings. 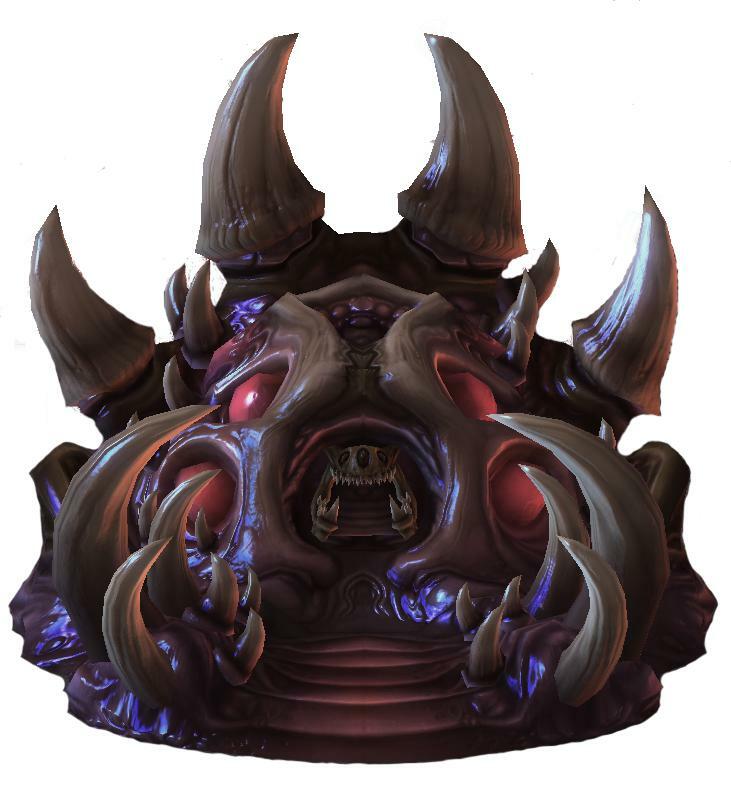 Technology for Zerg is created through minerals and gas by making specific structures as well as upgrading structures. Things like hydralisk den, spire, ultralisk cavern, infestation pit etc. All of these advantages rely on economy. The more economy that you have the more you can invest into any of these areas. Economy is considered your income – your worker count as well as how many bases that you have and finally the amount of extractors that you have taken for the advantages that require gas. So now we have figured out the importance of economy, economy is a flexible advantage that allows you to create advantages in other ways of the game such as tech, upgrades or army supply which eventually allow you to win the game. Macro builds are economic focused, they want to create a strong economy so that they can take advantage of the benefits of this economy going into the late game. Everything economy based costs minerals. Drones cost 50 minerals and 1 larvae. Hatcheries cost 300 minerals and 1 drone, extractors cost 25 minerals and 1 drone and queens cost 150 minerals. To create a strong economy you need more minerals to create workers and hatcheries as well as queens for larvae. This means that in the early to mid game you want to be focused on producing workers and expanding to new locations. You want to have minimal gas income such that you can still hit desired tech timings while also having maximum worker production and base expansion. There are many builds which focus heavily on tech to create powerful timing attacks. These builds are ones such as soO’s ZvT ravager rush which takes both gases extremely early, has incredibly limited drone production as well as no expansions. However these types of builds are all-in and designed the end the game early. However with economic based builds many players from new players all the way up to diamond and even some master league players are guilty of taking gases earlier than they should to create a strong economy. These builds aren’t inherently bad, but they also aren’t standard macro focused builds. They are tech builds which should be attempting to pressure their opponents with the advantage in tech that they create. At the professional level, many players will take 1-3 drones off of gas to mine minerals after metabolic boost is started. This is done in an attempt to maximize mineral income to create more drones, queens and hatcheries faster after obtaining the desired (and often crucial) metabolic boost upgrade. They put drones back to mining gas when their specific build requires it for the tech that they want in the mid-game. Usually sometime between 3:30 and 4:00. The benefits of having a stronger economy faster means that you can turn that economy into whatever you need based on your scouting. If you need more army supply immediately because you have scouted an early attack from your opponent, you can use your economy to create army supply to defend properly. If you see your opponent going for a specific tech path (range liberators, dts) you can invest in the tech or structures required to defend these attacks. If you scout your opponent going for a greedy opening, you can invest in army units to punish them or you can use your economy to invest into even more economy and defeat them in a late-game scenario. Economic builds which tech later are also much more robust. Tech does not save you from an all-in, only army supply will. This means that if you lose drones to an all-in or timing attack in either scenario but survive, you will be in a much better position if you have fewer gases and more mineral mining drones. Generally Zerg players want to tech very quickly once they have a strong mineral economy. A strong mineral economy occurs around 3 base mineral saturation (~50 drones) as well as your starting gas and drones for it. As soon as you hit this point often you can rapidly take gases and begin teching while still making drones for the new extractors that you are making. One of PiG’s original daily video’s was about properly balancing economies and is still extremely relevant today. All of the content shown in the video below was created and produced by PiG completely separate to myself. I believe his content is extremely helpful in learning and useful for new players.